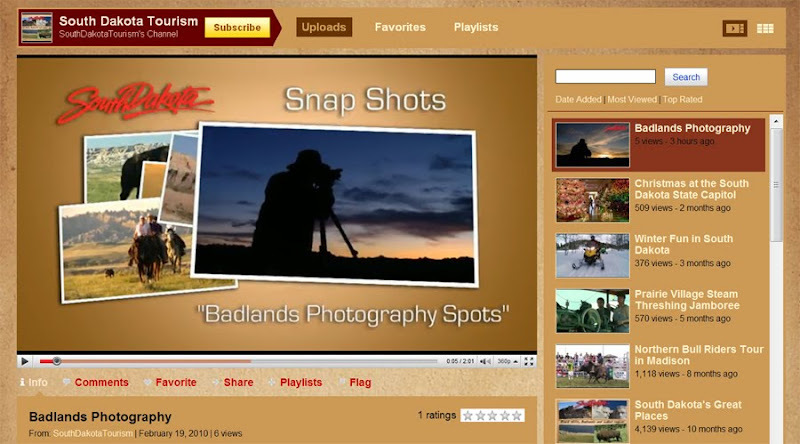 For a little different version of my tips on photographing South Dakota, check out a video of me explaining what's great about the Pinnacles area of Badlands National Park on South Dakota Tourism's YouTube Channel. Nice video Chad! Can you give me an idea of when the spring wildflowers might start blooming in the Badlands? I know it depends on the weather but just a ballpark figure? Thanks. Thanks Patty. The first flowers you are going to see might be in April, but May and early June are better bets. As you said, it depends on that late snowfall and/or spring rains. Thanks Chad! I have always wanted to get out to the Badlands late spring/early summer and are really going to see if we cant get there this year. Then I really want to try to get back for your shoot out in Sept. Looks great! No problem, glad to help out. I hope the flowers and weather cooperate for you.